Many people are unaware of the fact that the iconic lighthouse, which was built by the family of celebrated author, Robert Louis Stevenson, is situated amongst the ruins of Turnberry Castle. It was in this medieval castle that King Robert the Bruce was born in July 1274. 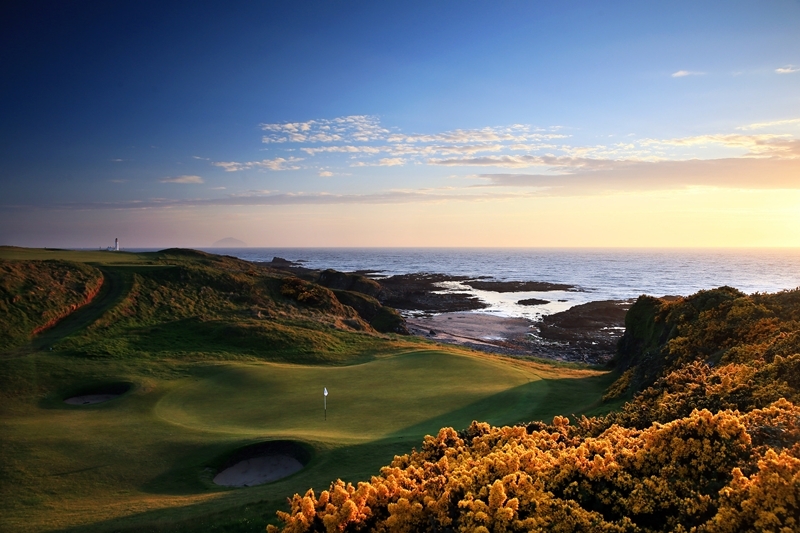 Turnberry is steeped in a strong history, leading to the naming of the new golf course after the King of Scotland, Robert the Bruce, the historical warrior who led Scotland to claim its right as an independent country in the Battle of Bannockburn in June 1314. Martin Ebert, who was the architect responsible for the reborn Ailsa, was commissioned once more to create what will be a world class golf experience which will thrill golfers of all abilities. 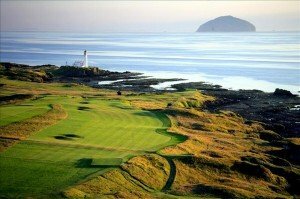 Breathtaking vistas from the 8th, 9th, 10th and 11th of King Robert the Bruce delight golfers, with spectacular views of Turnberry’s stunning coastline, castle ruins and the lighthouse. 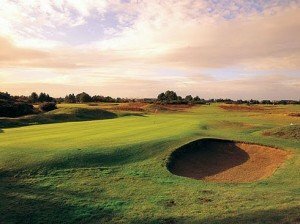 The overall design concept for the course has been to introduce fairway bunkers with sand faces and marram grass “eyebrow” faces tempting “risk or reward” shots whilst greenside bunkers are shaped and neatly revetted to require perfect recovery shots. With 18 holes of magnificent golf, the introduction of King Robert the Bruce reinforces Trump Turnberry’s reputation as a true golfer’s paradise. Dundonald Links is located at the very heart of Ayrshire’s golf coast near the Open Championship venues Royal Troon, Prestwick and Turnberry, just 10 minutes from Prestwick Airport and half an hour from Glasgow. The arrival of The Aberdeen Asset Management Scottish Open in 2017 heralds a new chapter in Dundonald’s history. 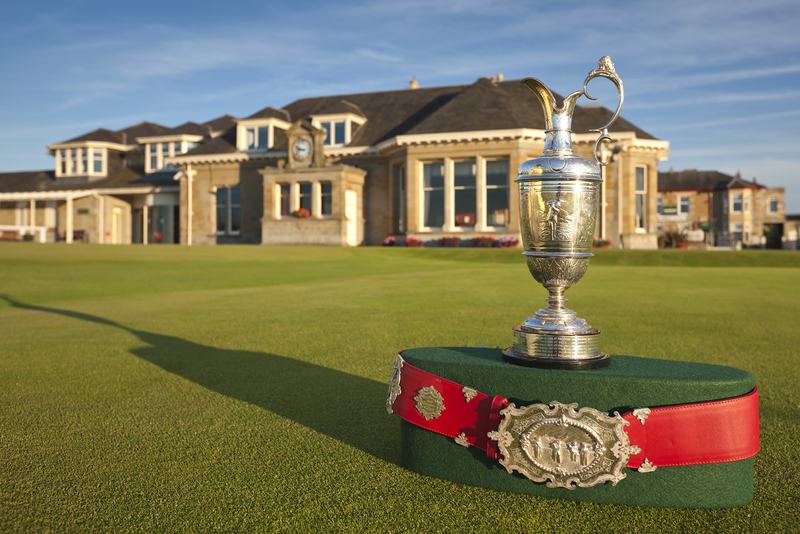 In recent years the Tour has taken this prestigious Championship to some iconic links courses across Scotland. 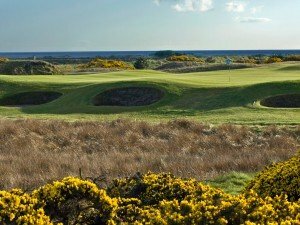 Dundonald Links is the latest to host what is always a very strong field focused on winning one of the European Tour’s flagship events. 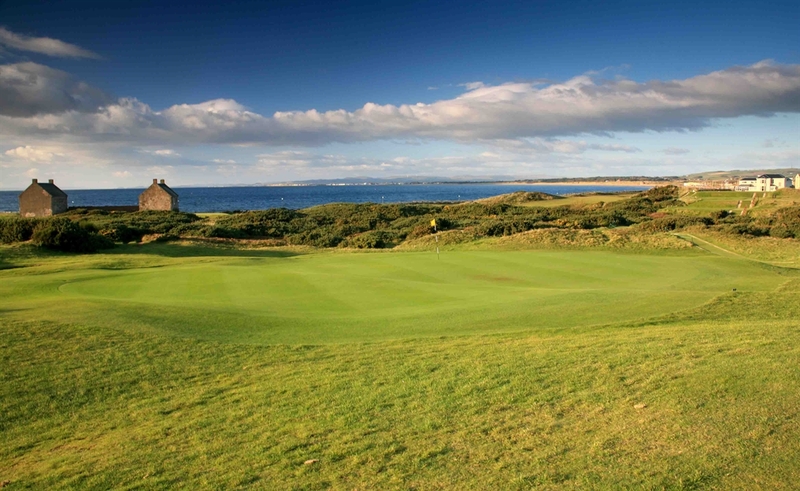 Its coastal setting and fabulous condition makes the course ideal for summer and winter golf in Scotland. More accessible by air than road, Machrihanish is an absolute delight. Credited with boasting one of the best opening holes in the World, the course and is regularly ranked in the U K’s top 25. 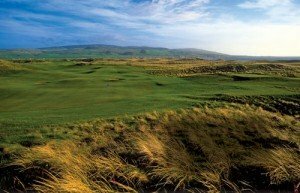 Designed by old Tom Morris in 1876, Machrihanish has a pedigree that rivals the better known Scottish courses like Dornoch or Carnoustie. And what a golf course with no two holes the same and always in great condition. But the best part of Machrihanish is the people. Being off the beaten track makes the members both very willing and proud to share this world class linkscourse with those who make the trek. Golf is both a course and the people who play it- you won’t be disappointed with either at Machrinanish. Western Gailes Golf Club was founded in 1897 and is situated on the Ayrshire Coast, 4 miles north of Prestwick Airport. 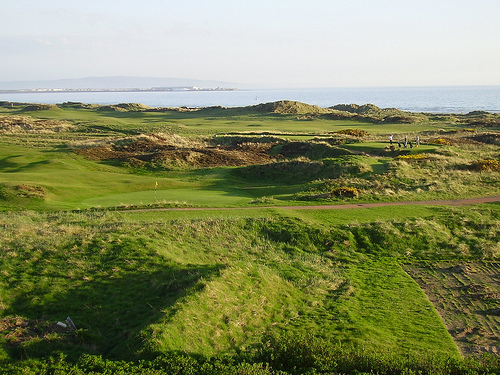 It is recognised as one of the finest & truest links courses in Scotland. 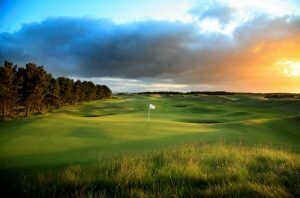 Western Gailes was bound to attract both top amateur and professional events and since Harry Vardon won the first major contest here with a 68 in 1903 the course has played host to the Curtis Cup, P.G.A. Championship, Seniors, Scottish Amateur and Boys Championships and the Ladies’ Home Internationals. 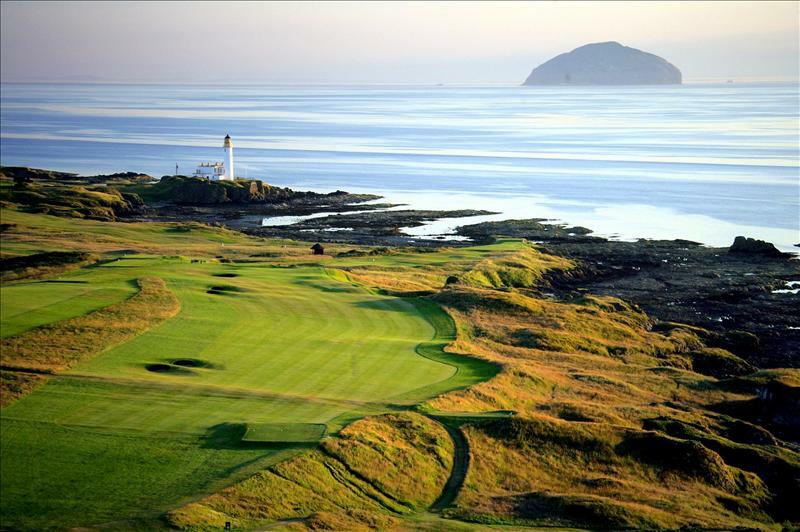 It is also one of the Final Qualifying courses when The Open Championship is held at either Royal Troon or Turnberry. 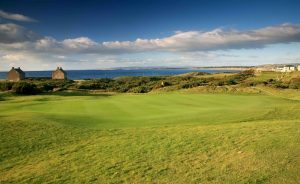 The Machrie, residing on the quaint and picturesque Isle of Islay, is one of Scotland’s oldest and most traditional links courses. In fact, in 1901 it hosted its very own Open Championship where a trio by the name of Harry Vardon, John Taylor and James Braid competed for a £100 first prize. The Machrie was laid out in 1891 by Willie Campbell, who instantly fell in love with the course upon viewing the land before him. 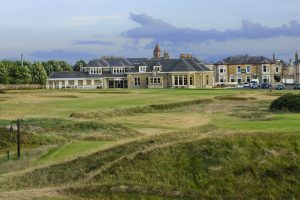 The main feature of this links are the number of blind holes and blind shots that have to be negotiated from undulating, tight fairways onto wonderful, rolling greens. The views to the bay are another aspect that has made the Machrie the favourite it is today. 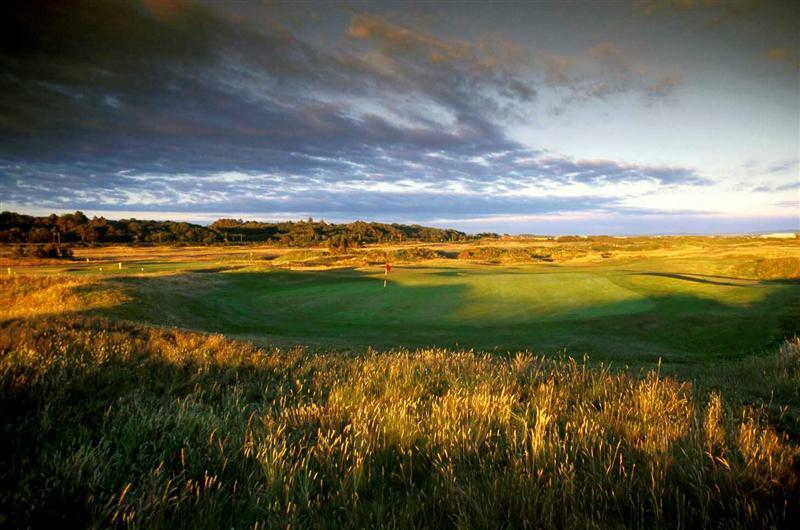 Gailes Links course is owned and managed by Glasgow Golf Club, the 9th oldest golf club in the world. Less than an hour from Glasgow, Gailes is a challenging links course – tough and traditionally Scottish – consistently selected by the Royal & Ancient Golf Club of St Andrews as a final qualifying venue for the Open Championship. Gailes Links lies in the heart of Scotland’s Ayrshire Golf coast with several celebrated courses within easy driving distance: Royal Troon – 5 miles, Old Prestwick – 8 miles and Turnberry – 20 miles. Prestwick St Nicholas Golf Club is the 26th oldest Golf Club in the world. 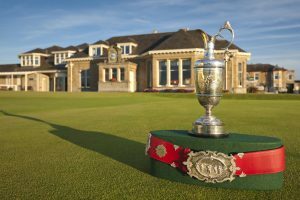 Old Tom Morris winner of four Open Championships was a founding/honorary member of the club, a traditional Scottish links golf course occupying a prime position on the shores of the Firth of Clyde. 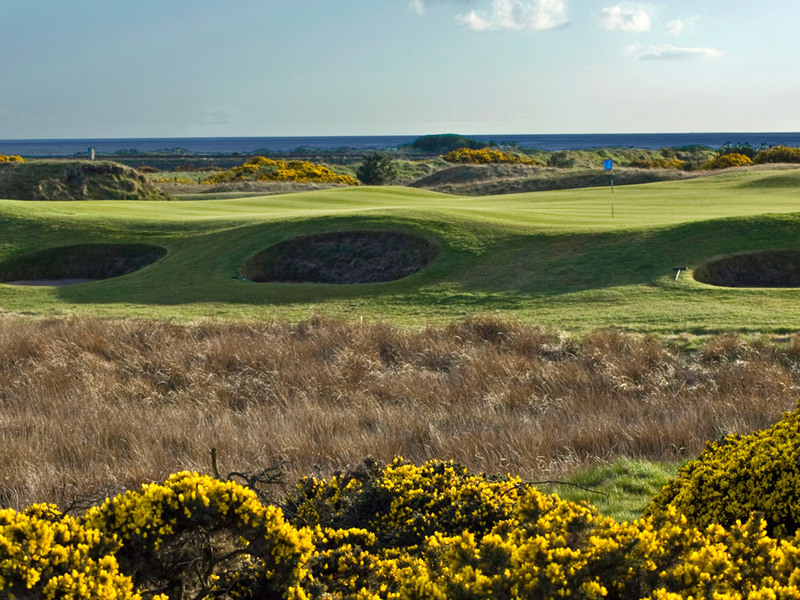 The deep bunkers, running fairways, undulating greens and strands of gorse test the skills of players of all abilities and at 6044 yards, this par 69 course is a must for amateur golfers of all ages. The splendid clubhouse sits yards from the shoreline and the finely manicured fairways offer year round golf on a firm and generally frost free footing. The course is playable when many others are not. 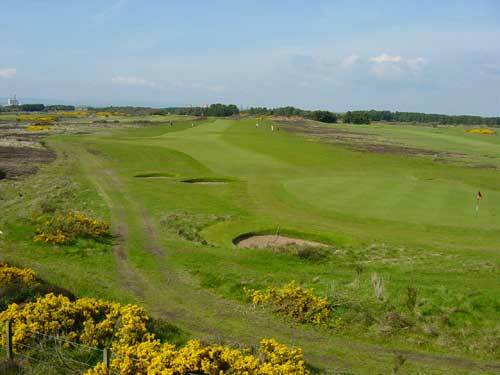 The Barassie Links Course is an Open Championship Qualifying venue with some of the best maintained greens in Scotland. The club has undergone considerable changes over the past three years and now has a 27 hole facility. The new nine holes are now part of the championship course and have added a different dimension to Barassie with a Par of 72 and a Standard Scratch of 74. Changes have improved the course further with strategically placed bunkers causing more trouble off the tees. The course measures at just under 7000 yards and the new holes provide some wonderful challenges perhaps no more so than the par 3 fourth hole or the quirky double dog leg par 5 eighth. 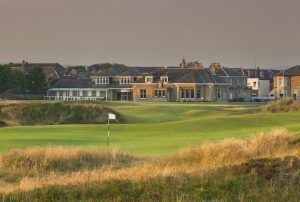 The course is tough, but is typically what Scottish Links golf is about – large undulating greens, deep bunkers and dog legs. 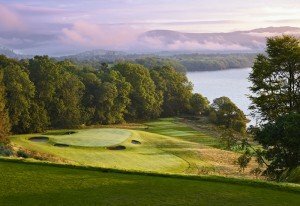 The Carrick Loch Lomond is a very fair test of golf for players of all standards and the really noticeable feature of the course is the panoramic view from every hole. 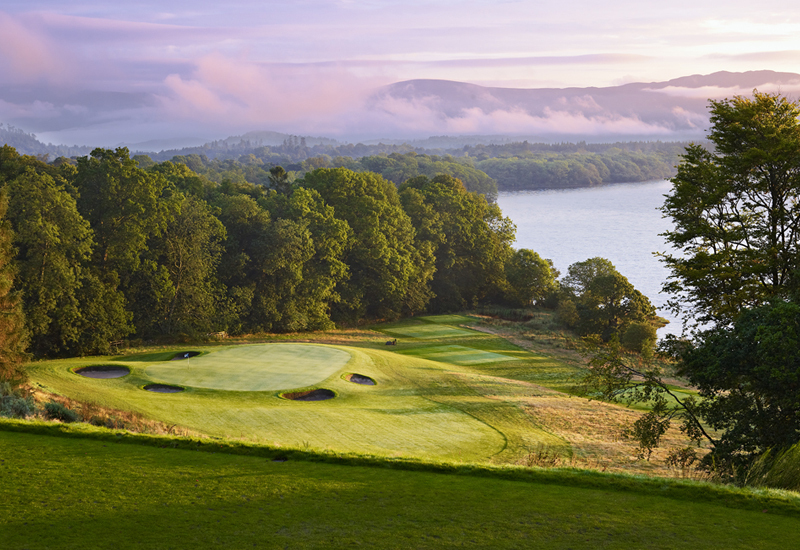 The respective vistas of the hills, glens and loch make it arguably the most scenic course in Scotland. It is unique in being the only course which is bisected by the Highland fault line so has nine holes in the lowlands and 9 holes in the highlands. The course has a unique blend of traditional Scottish heathland, with 118 riveted bunkers and the option to run the ball in to the generous but undulating greens. 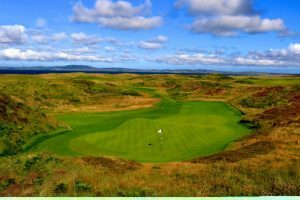 The Carrick is the result of a £9M investment which makes it the most expensive course ever constructed in Scotland and which reflects the quality of the course. 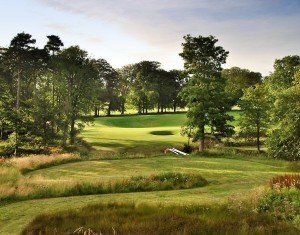 Eight times European No 1 golfer and 2010 winning Ryder Cup Captain Colin Montgomerie chose the historic Rowallan Castle estate, one of the finest locations in the heart of picturesque Ayrshire, to design his first course in the British Isles. The course is now in its second full season of play, and is fast gaining a global reputation as a masterpiece thanks to its fast undulating greens, cavernous bunkers and mature setting. Set in 600 acres of one of Scotland’s most glorious country estates, Rowallan boasts two of the finest castles in the land and a golf course that stretches to 7000 yards from the Championship tees. 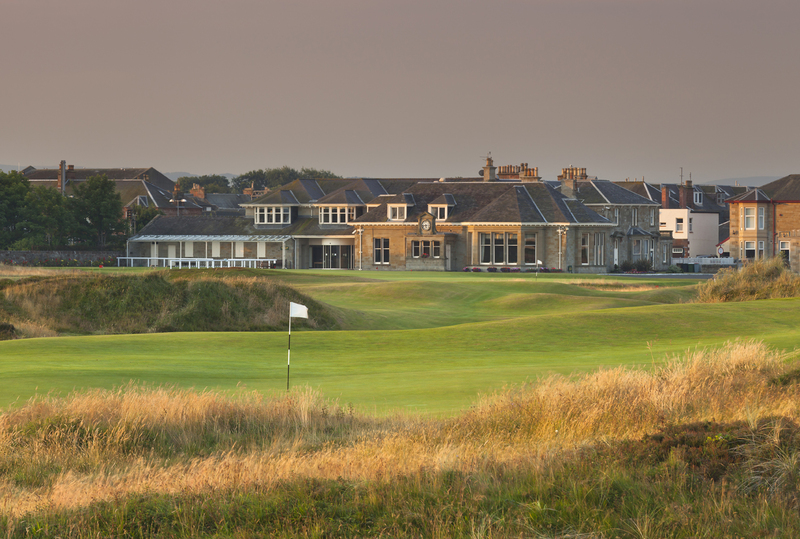 Rowallan is a modern classic, to compliment Ayrshire’s existing golfing gems, from Prestwick, the birthplace of the Open, to Royal Troon, and the 2009 Open Championship venue Turnberry.